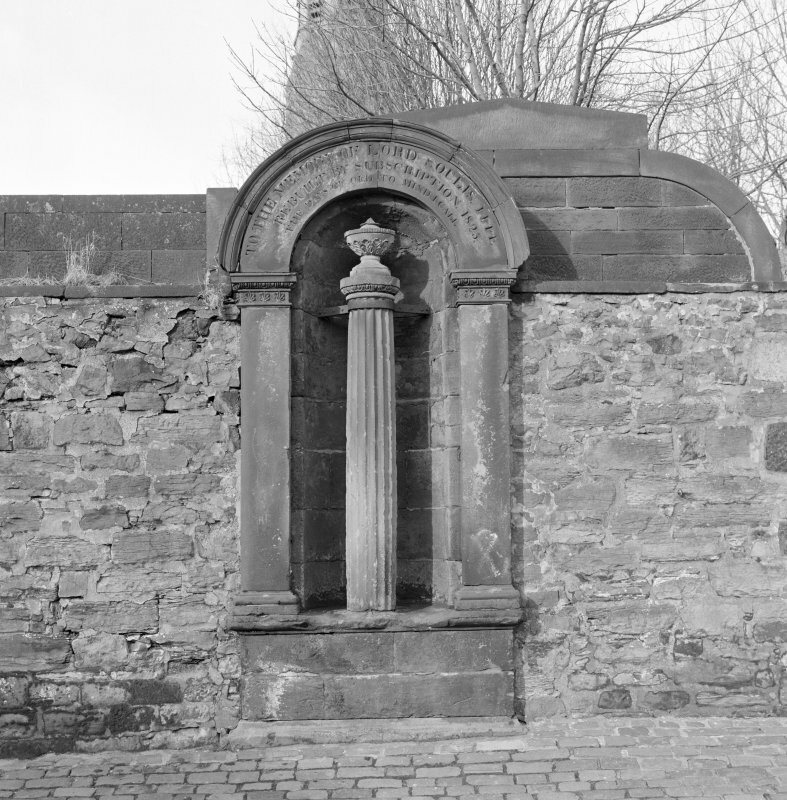 Detail of Soulis Monument from NW. 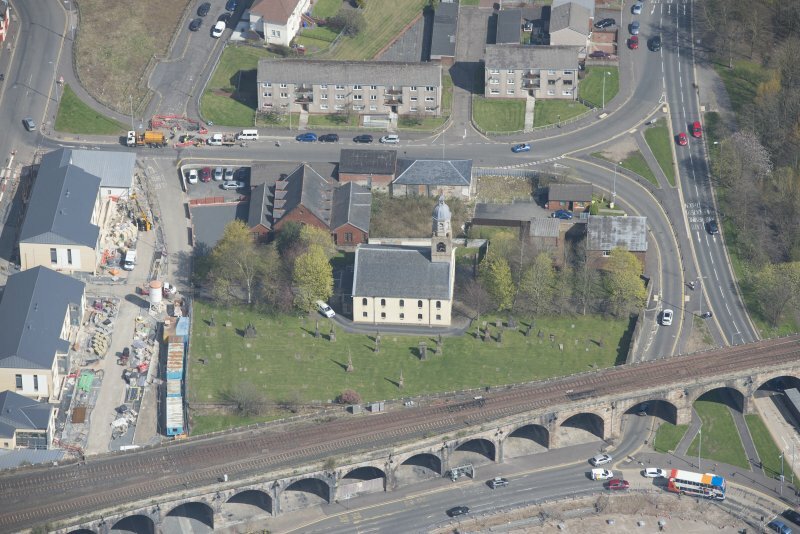 Oblique aerial view of Kilmarnock Old High Kirk and Kirkyard, looking NW. 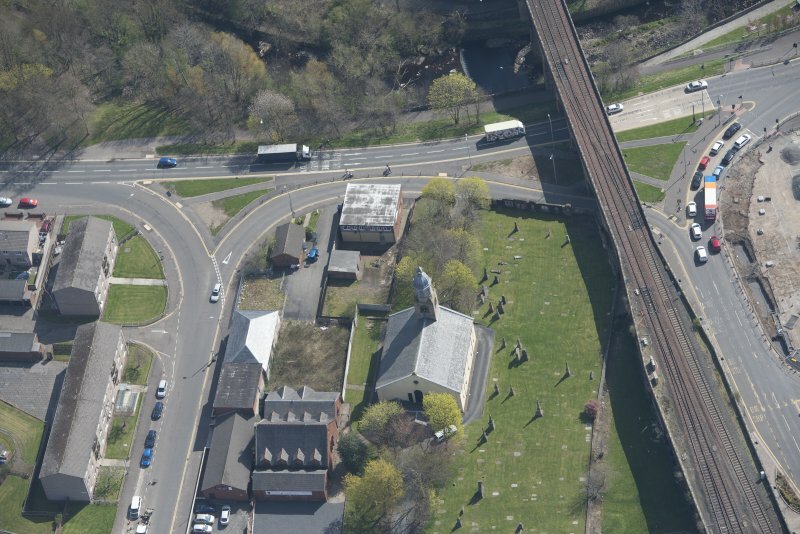 Oblique aerial view of Kilmarnock Old High Kirk and Kirkyard, looking E.
Oblique aerial view of Kilmarnock Old High Kirk and Kirkyard, looking ESE. 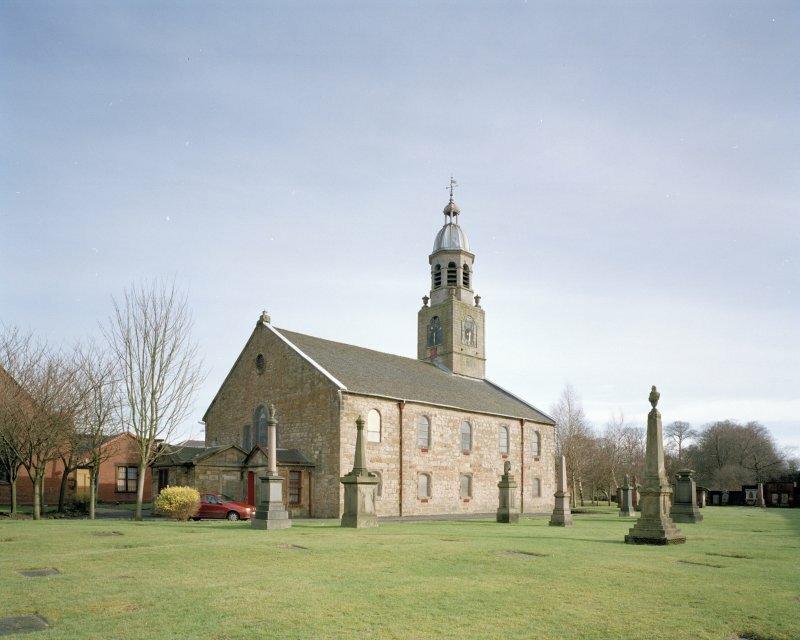 Scanned image of color negative of view from SE. 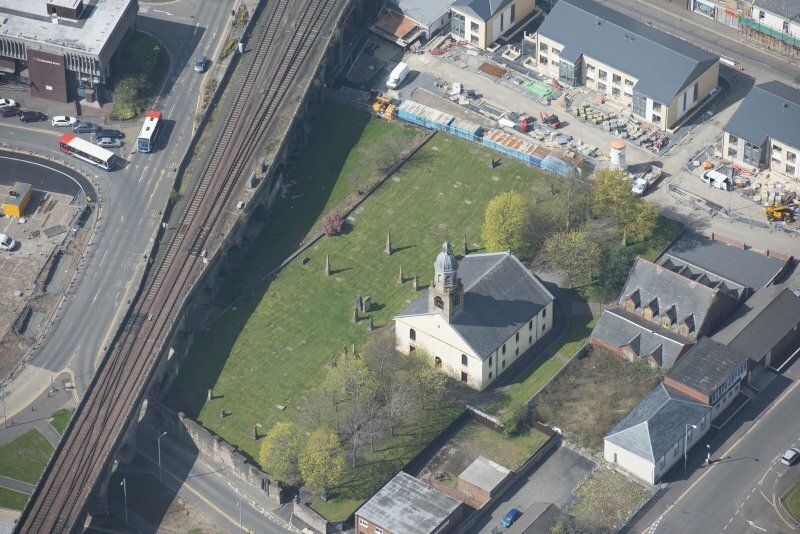 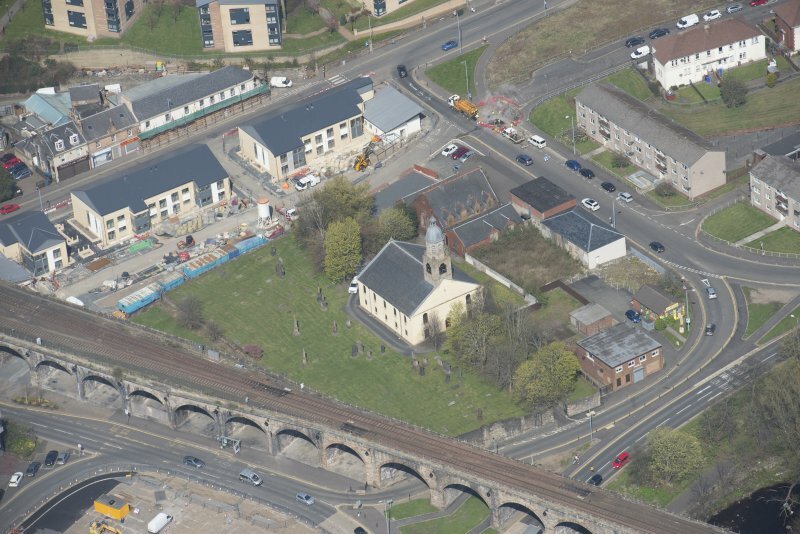 Oblique aerial view of Kilmarnock Old High Kirk and Kirkyard, looking ENE. 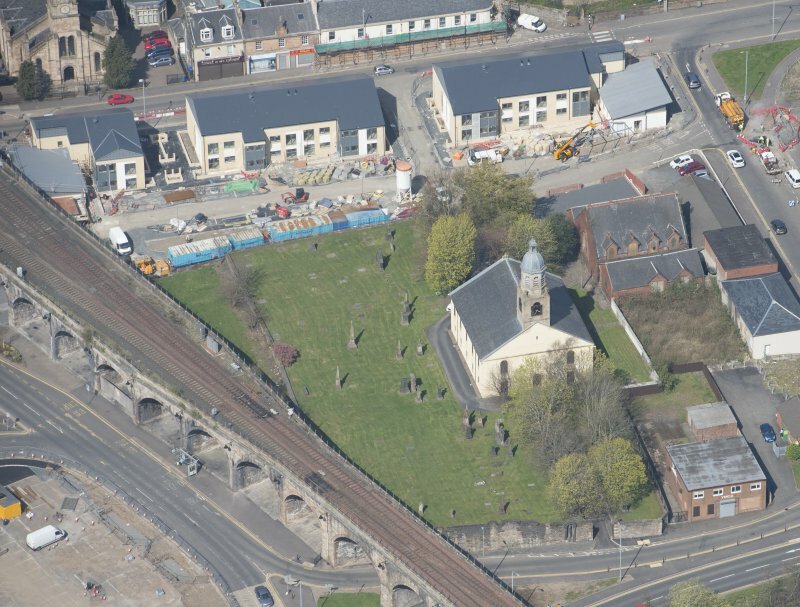 Oblique aerial view of Kilmarnock Old High Kirk and Kirkyard, looking SE. 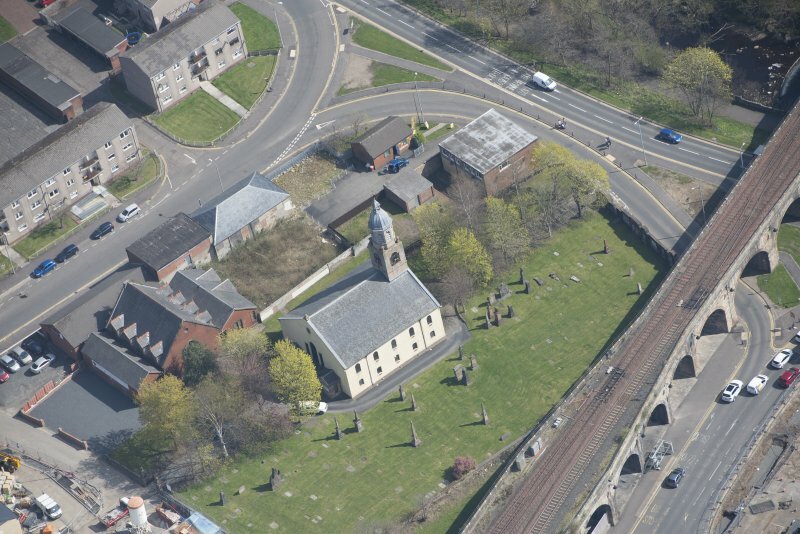 Oblique aerial view of Kilmarnock Old High Kirk and Kirkyard, looking NNW. 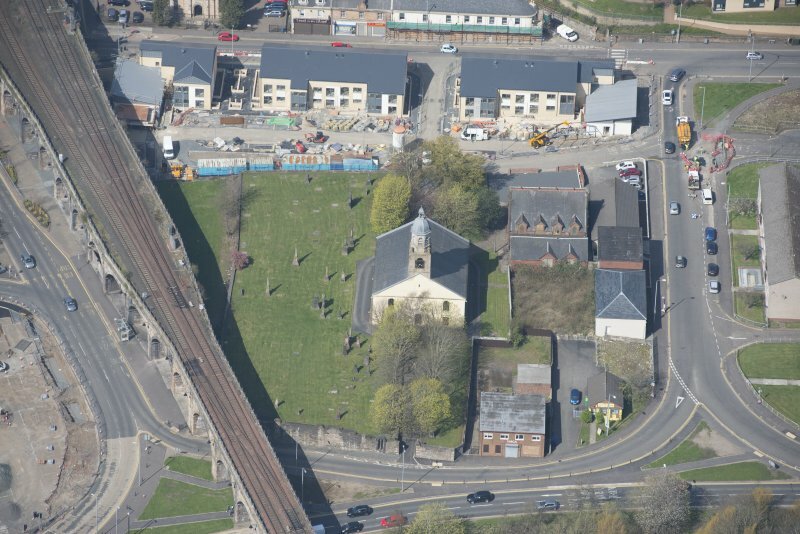 Oblique aerial view of Kilmarnock Old High Kirk and Kirkyard, looking W.
Oblique aerial view of Kilmarnock Old High Kirk and Kirkyard, looking WNW. 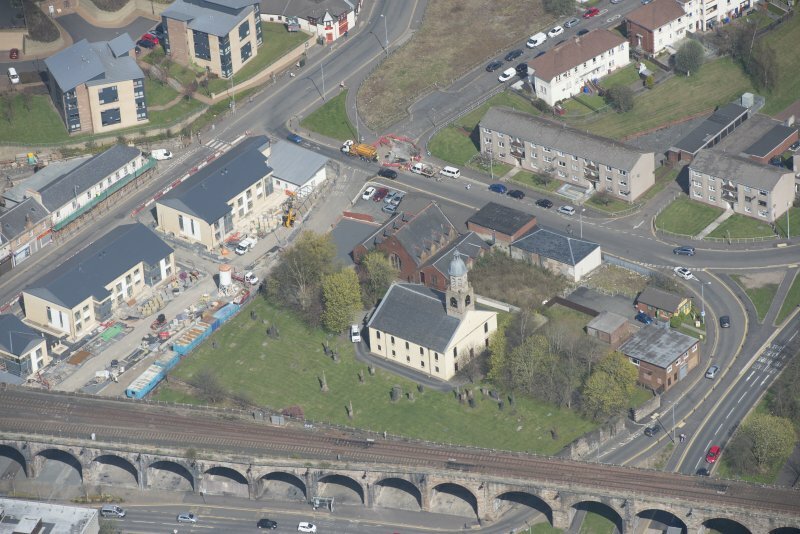 Oblique aerial view of Kilmarnock Old High Kirk and Kirkyard, looking NE. 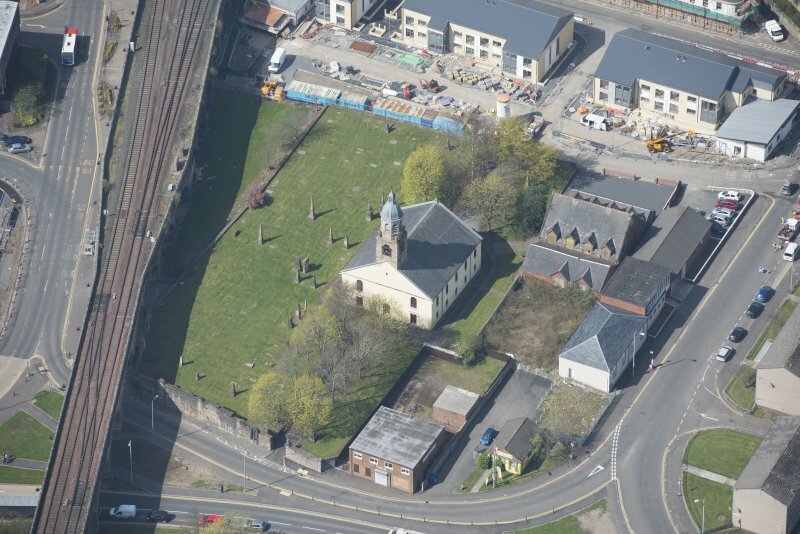 Oblique aerial view of Kilmarnock Old High Kirk and Kirkyard, looking NNE. 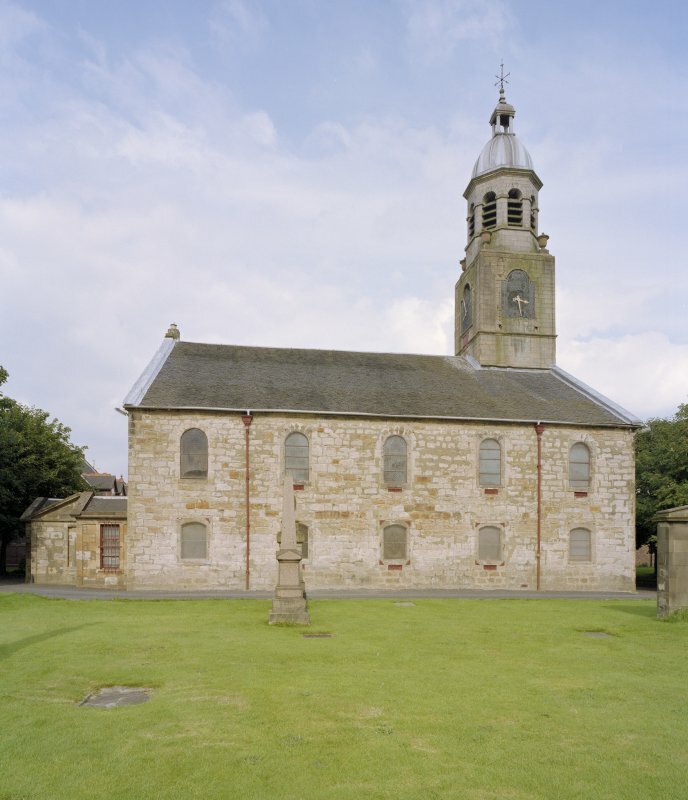 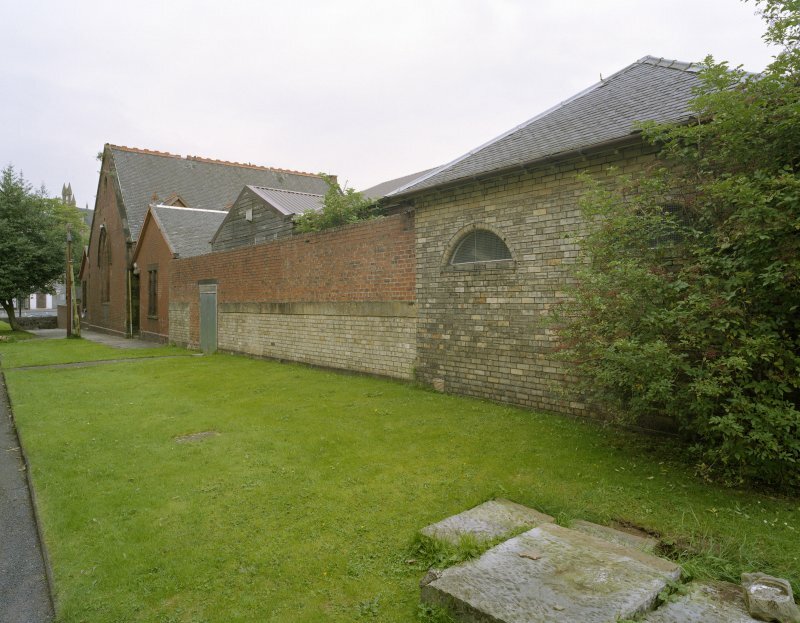 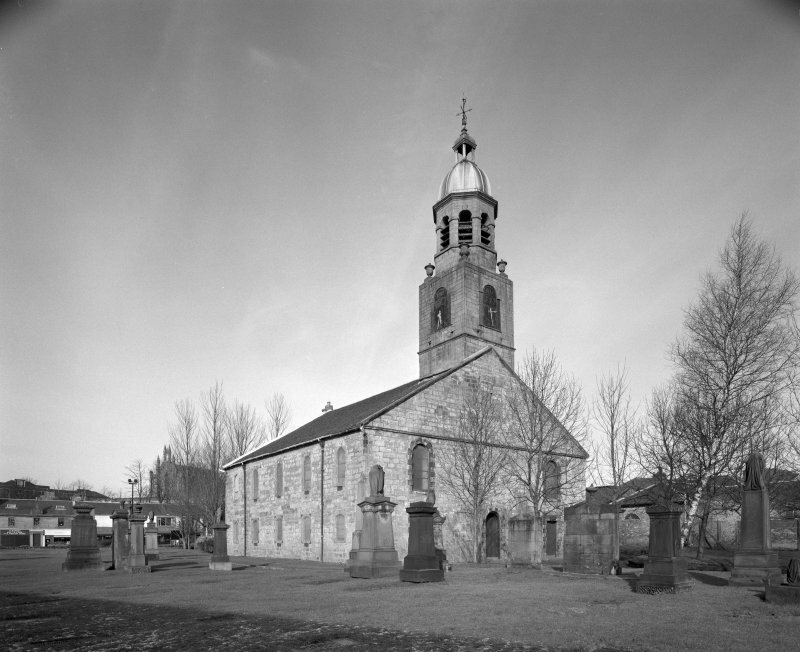 Photograph of Kilmarnock Old High Church. 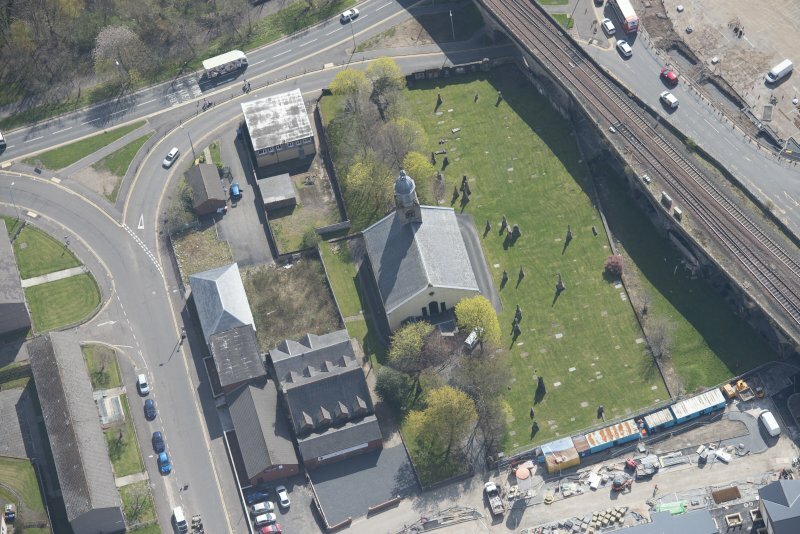 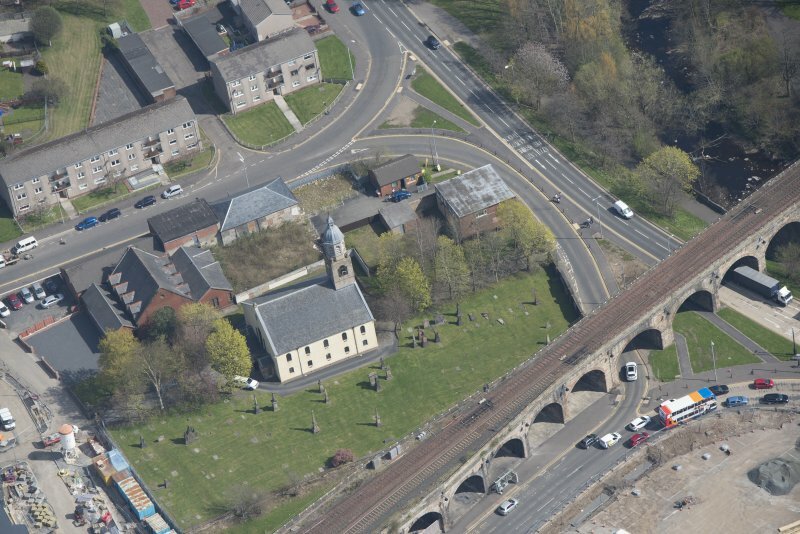 Oblique aerial view of Kilmarnock Old High Kirk and Kirkyard, looking WSW. 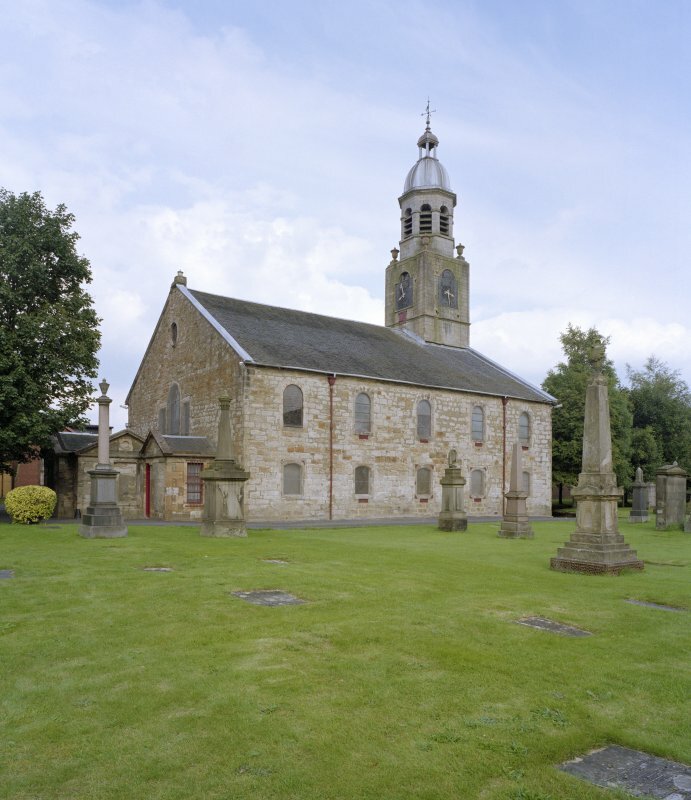 The building, which was begun in 1732 (see inscription at south-east corner) is of five-bay galleried form and is rectangular on plan with the main (entrance) front and steeple to the east. 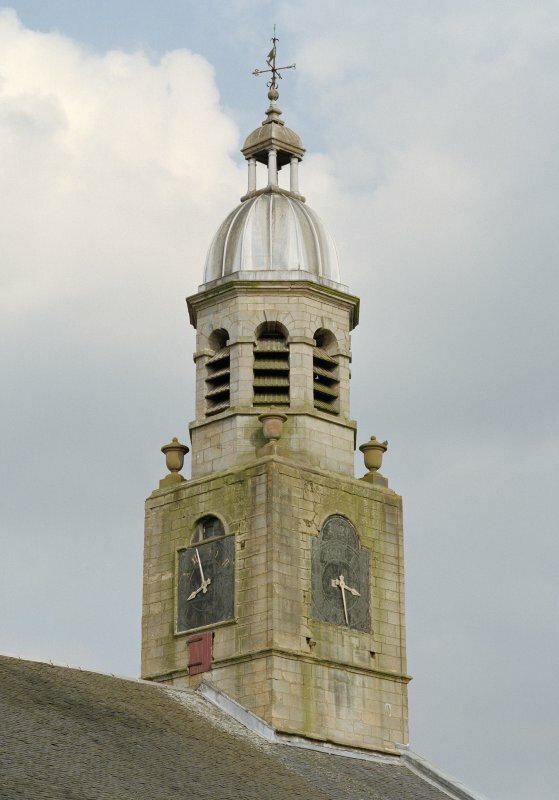 Although the steeple was evidently intended to have been built from the start, it is part of a secondary campaign of construction c.1740. 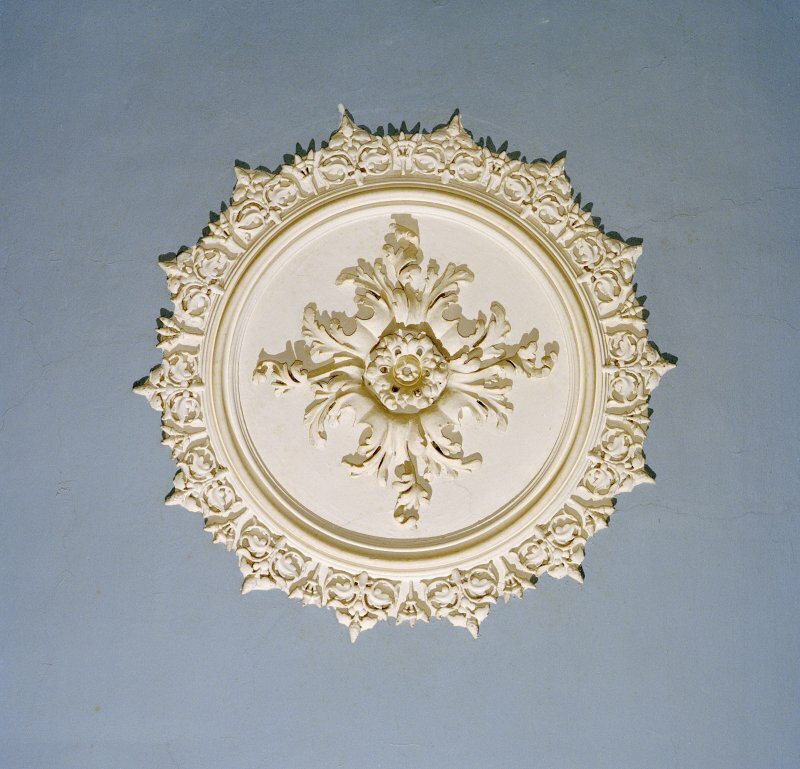 It has a square base with clock-faces on each face. 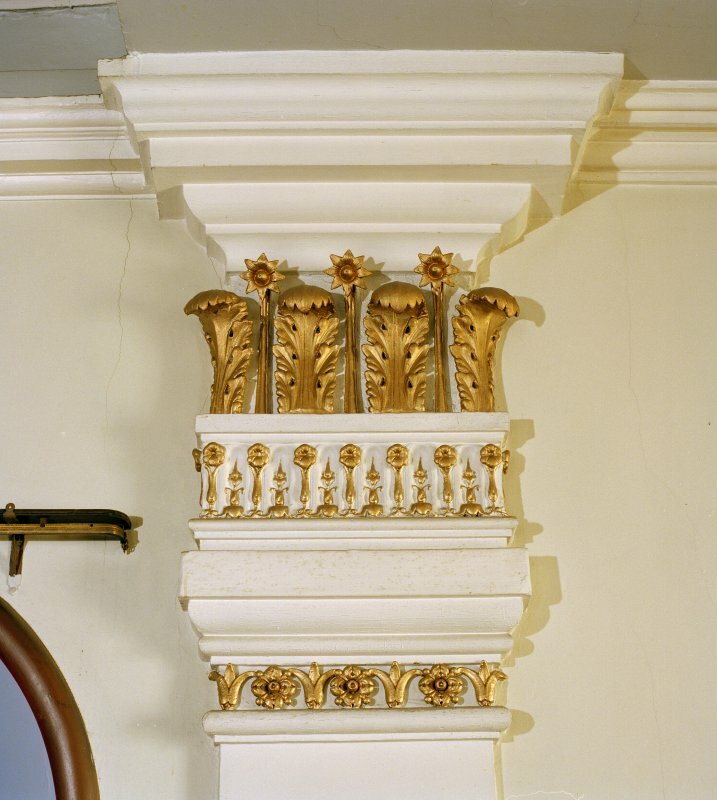 The octagonal upper stage, which has round-headed belfry openings, is surmounted by a leaded dome. 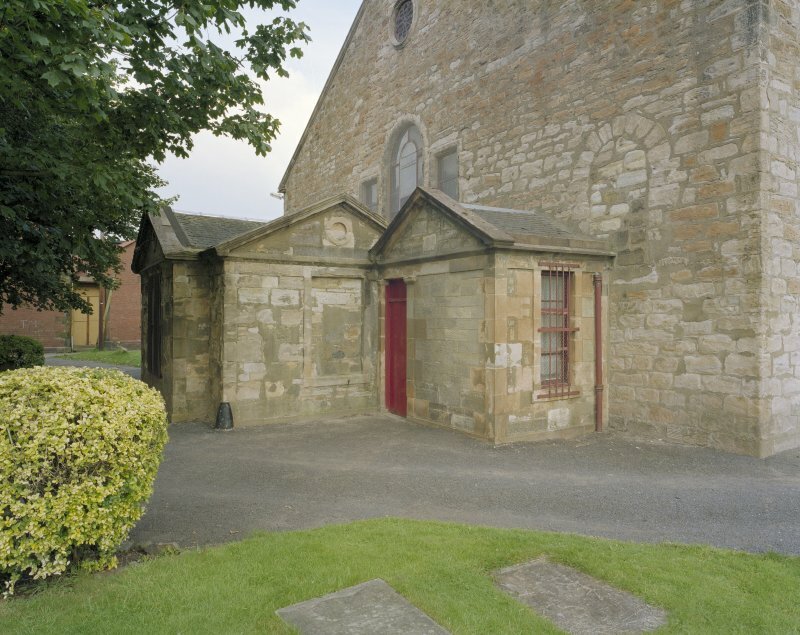 The church is built in a simplified classicising idiom. 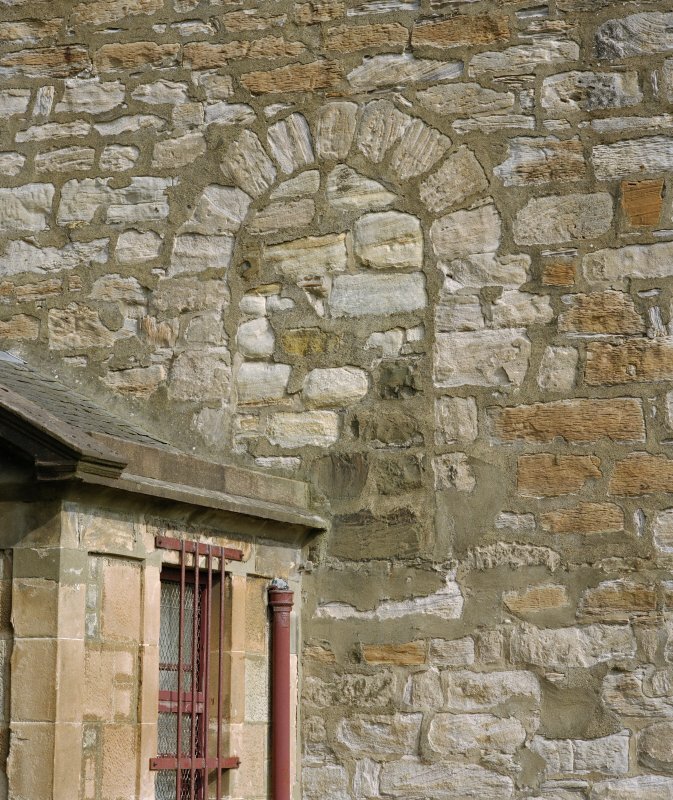 There are three entrance doorways in the east front, all lugged. 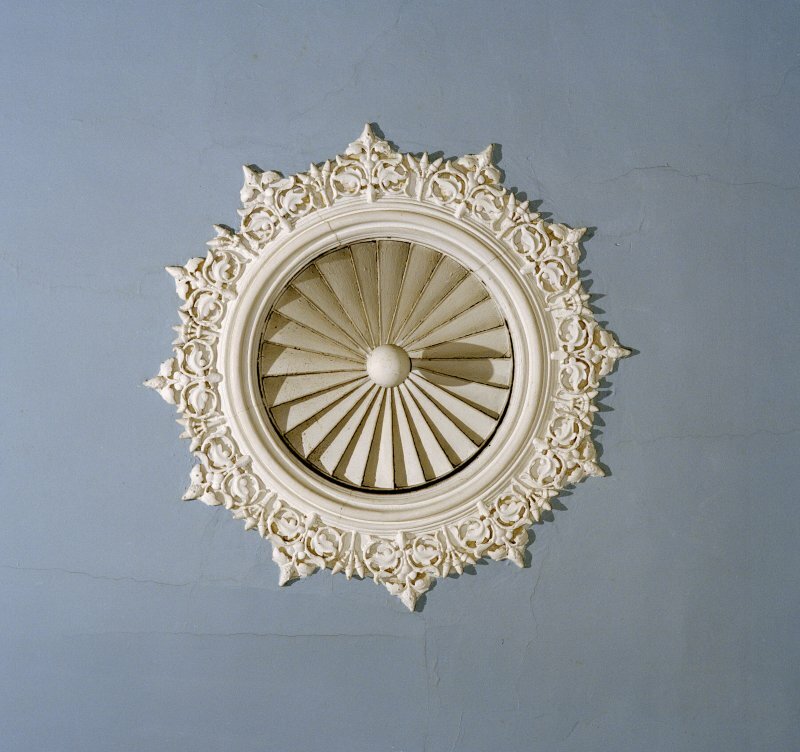 Those to the north and south are square-headed and that to the centre round-headed. 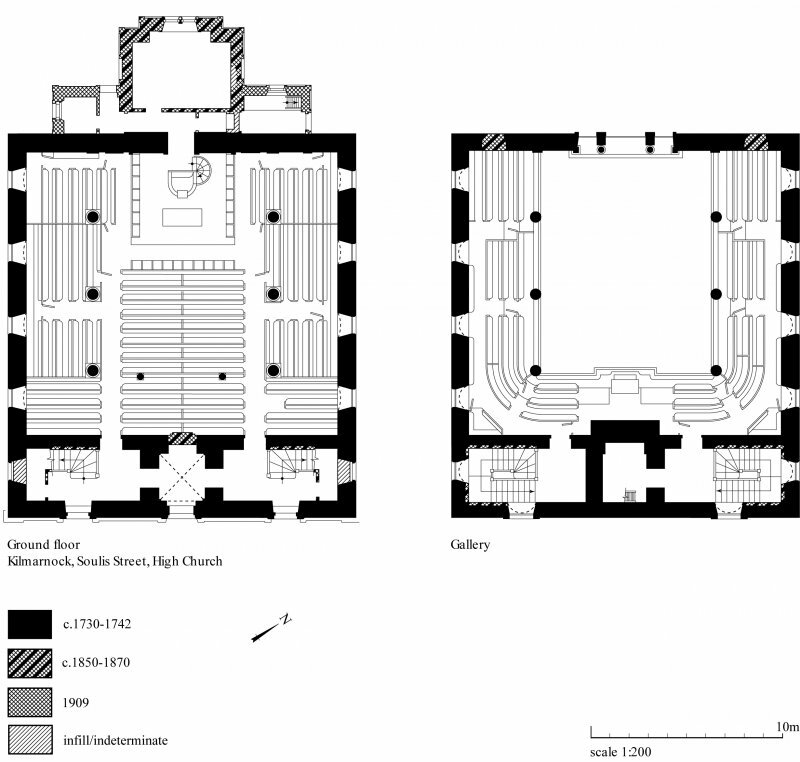 The ground-floor windows are segmental-headed and those of the gallery level round-headed. 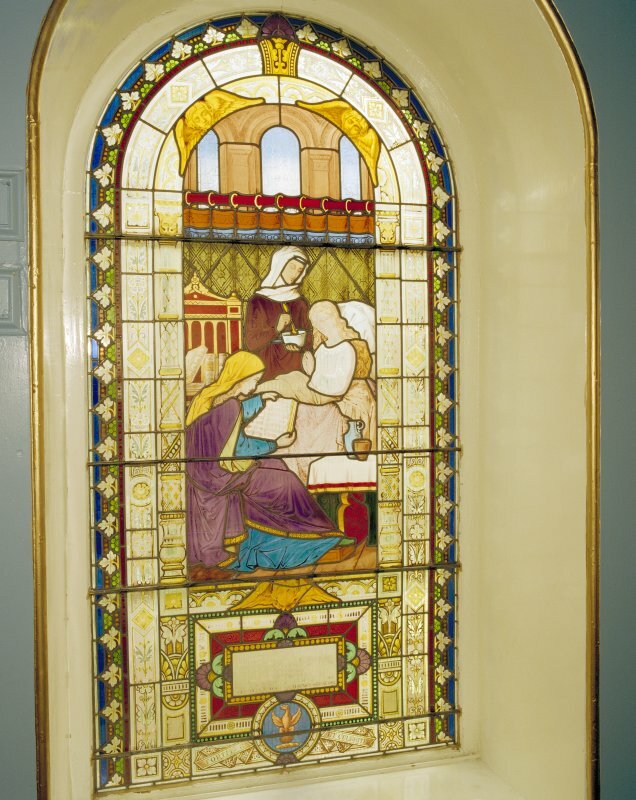 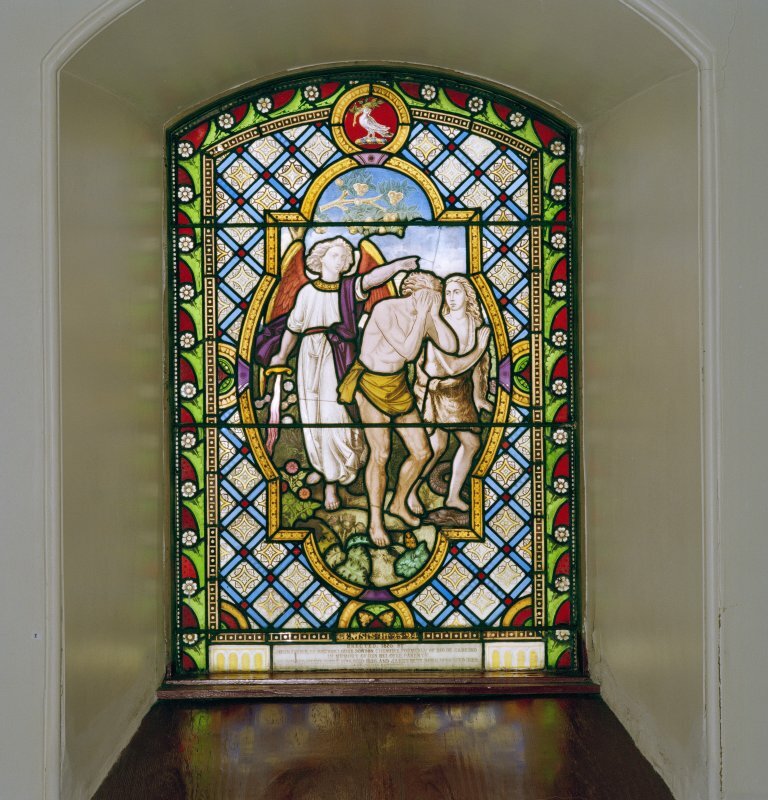 The gallery is carried round the east, north and south sides whilst the west front is lit by a large Venetian window. 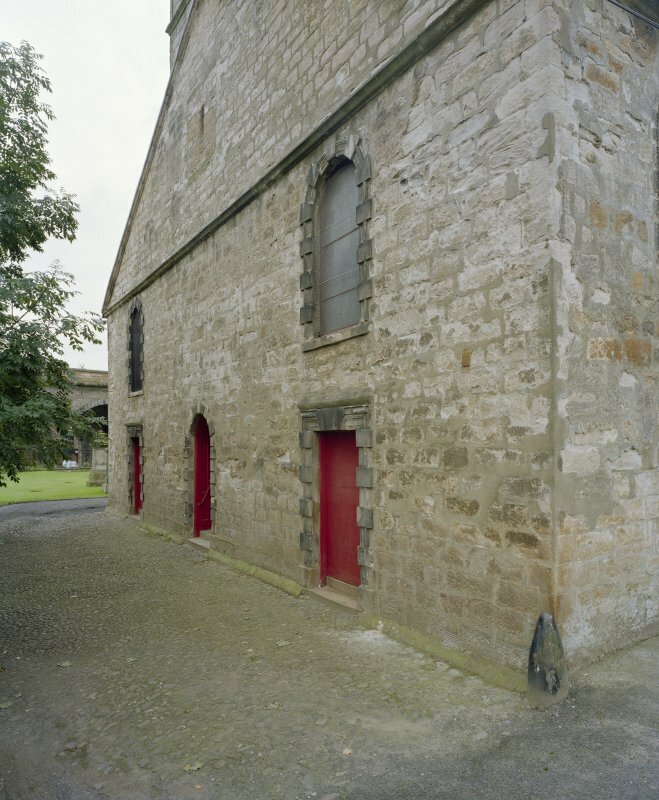 Access to the gallery is provided by staircases in the north-east and south-east corners. 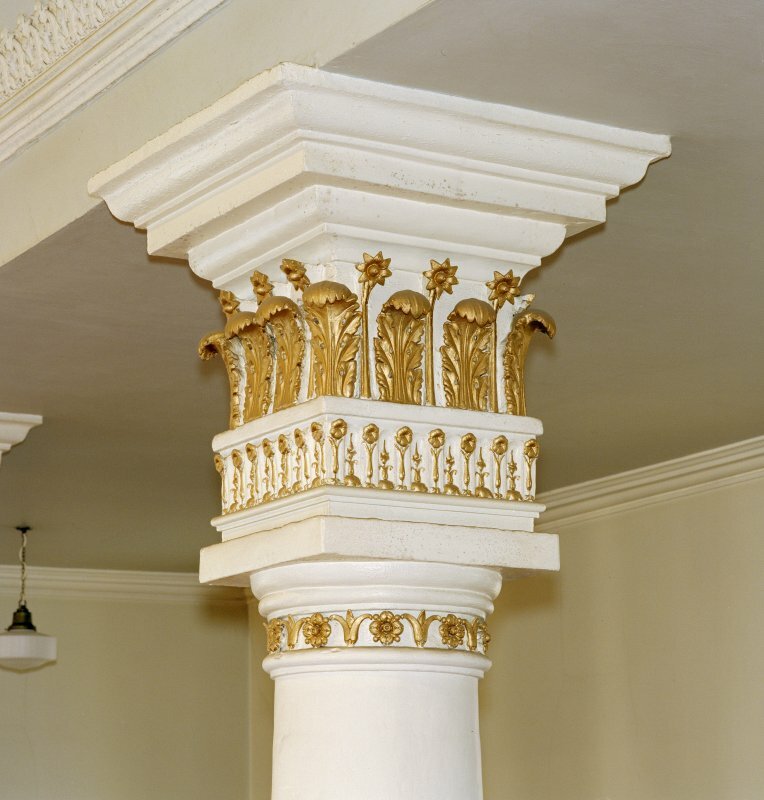 The columns supporting the gallery have capitals of unorthodox form and appear to have been reworked in the mid 19th century. 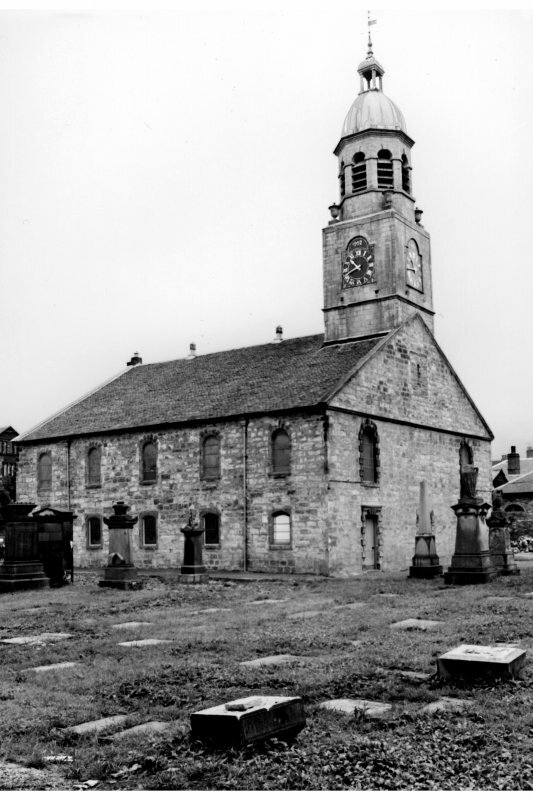 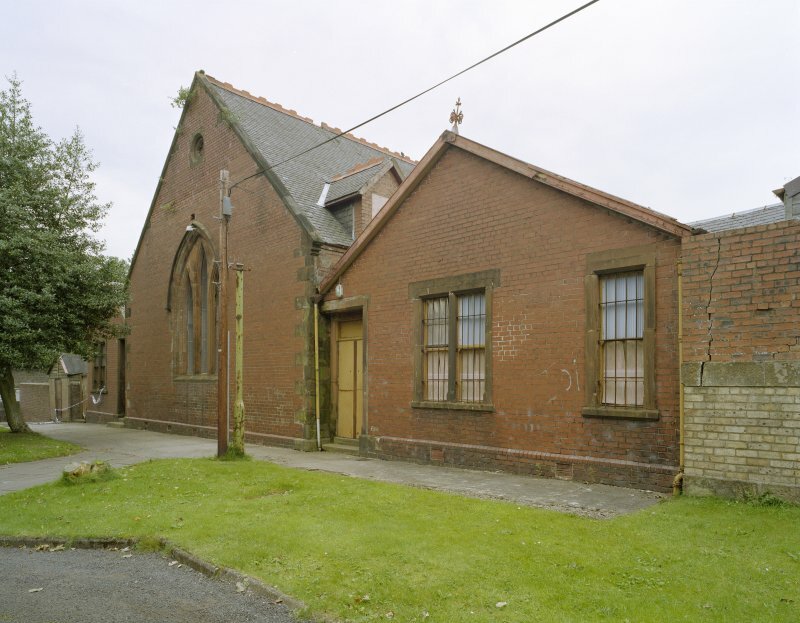 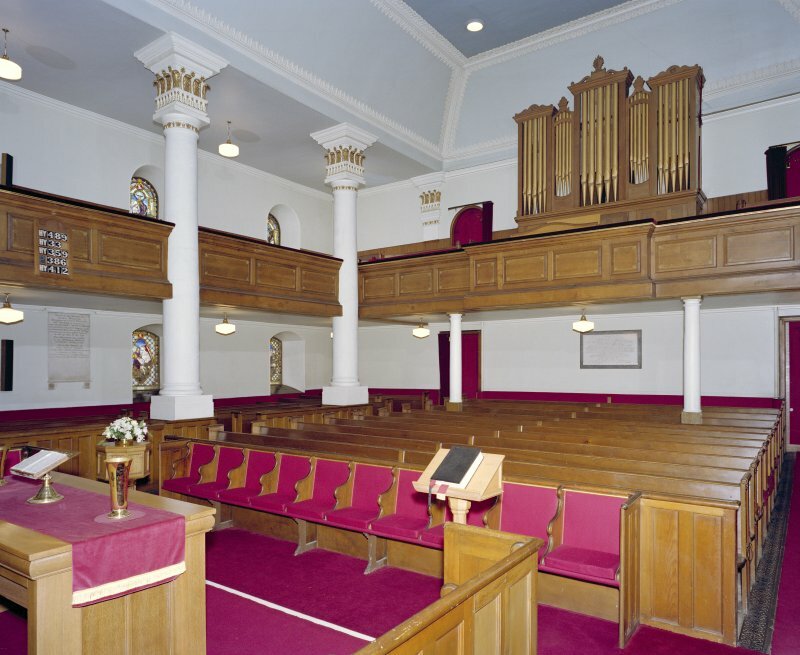 The detailed survey undertaken of the High Church, Kilmarnock, has resulted in new information concerning its history and development. 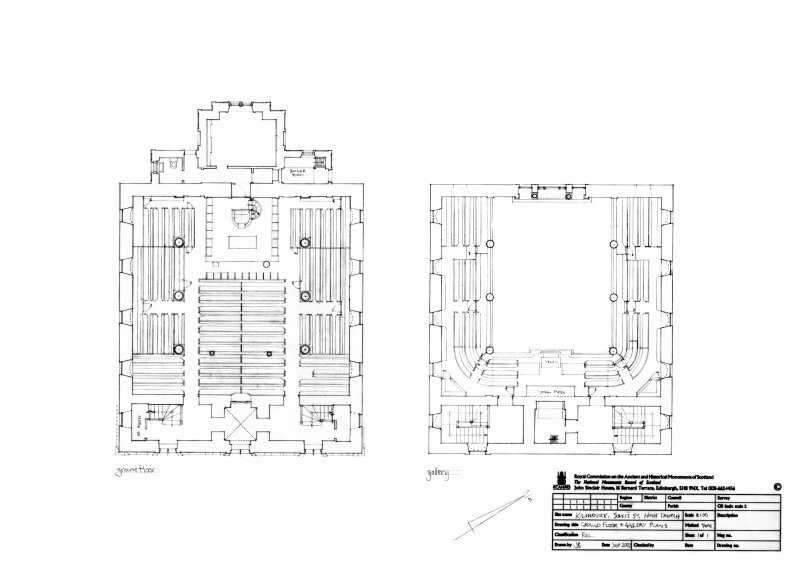 Despite seeming to be largely unaltered, on-the-ground analysis has allowed various alterations and additions to the original building to be identified (see hatched plans for details). 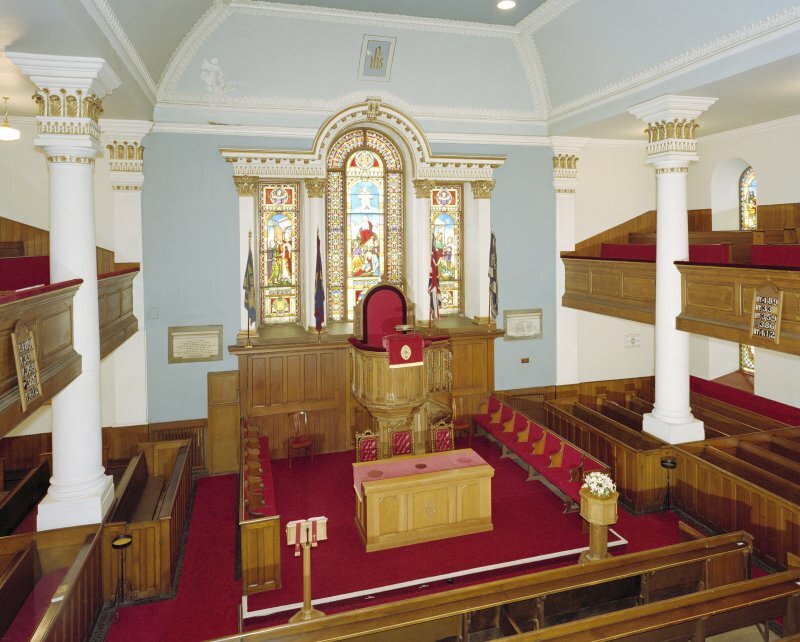 In particular, the pedimented session room to the centre of the west front is an addition of the third quarter of the 19th century. 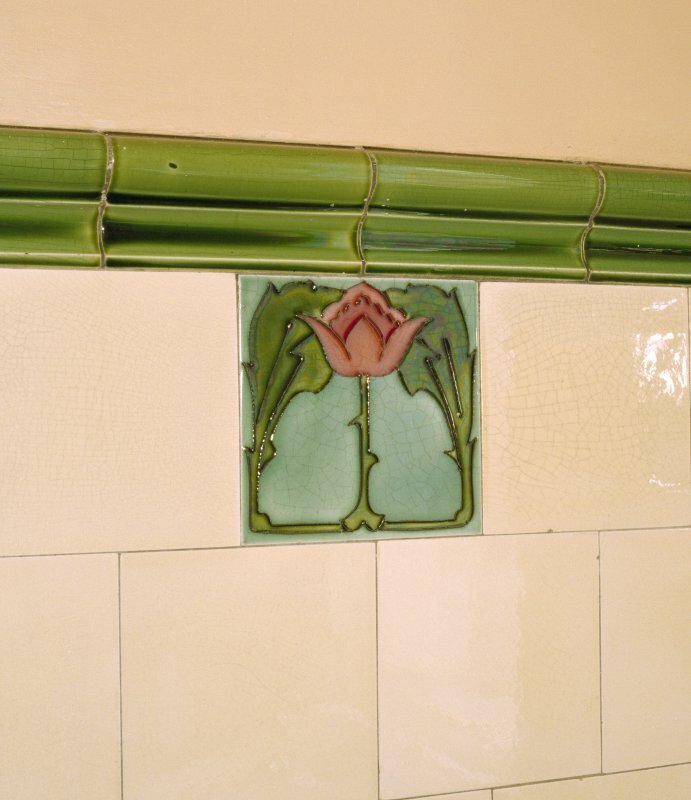 It was extended to north and south in 1909. 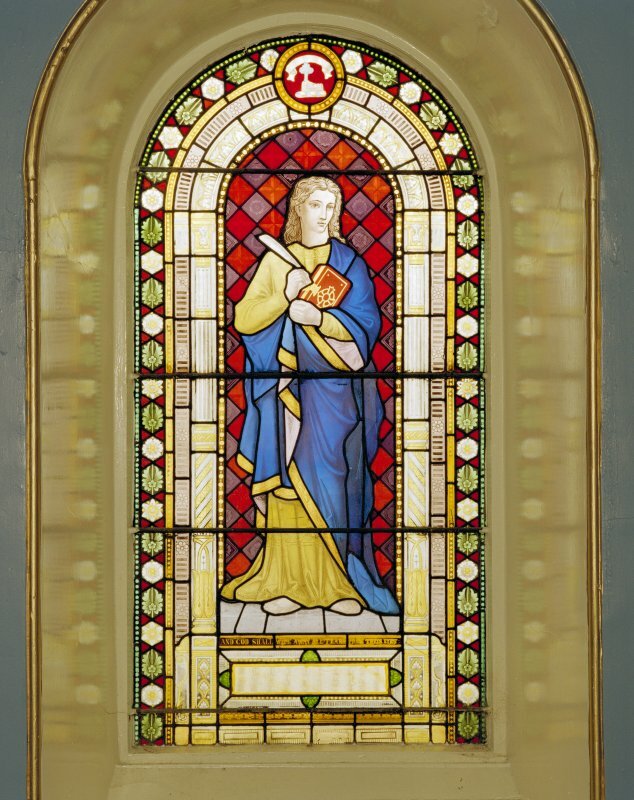 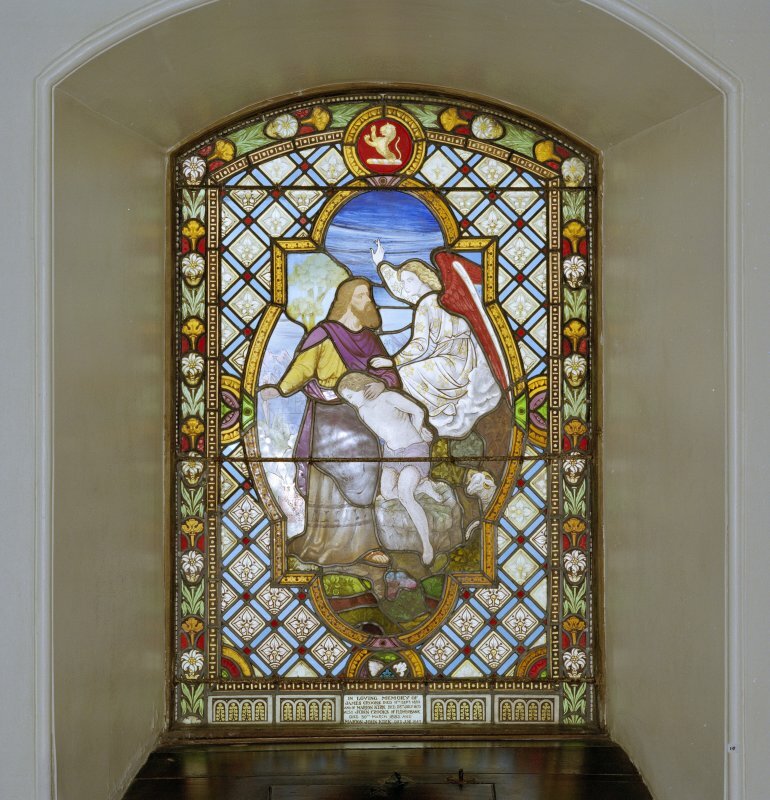 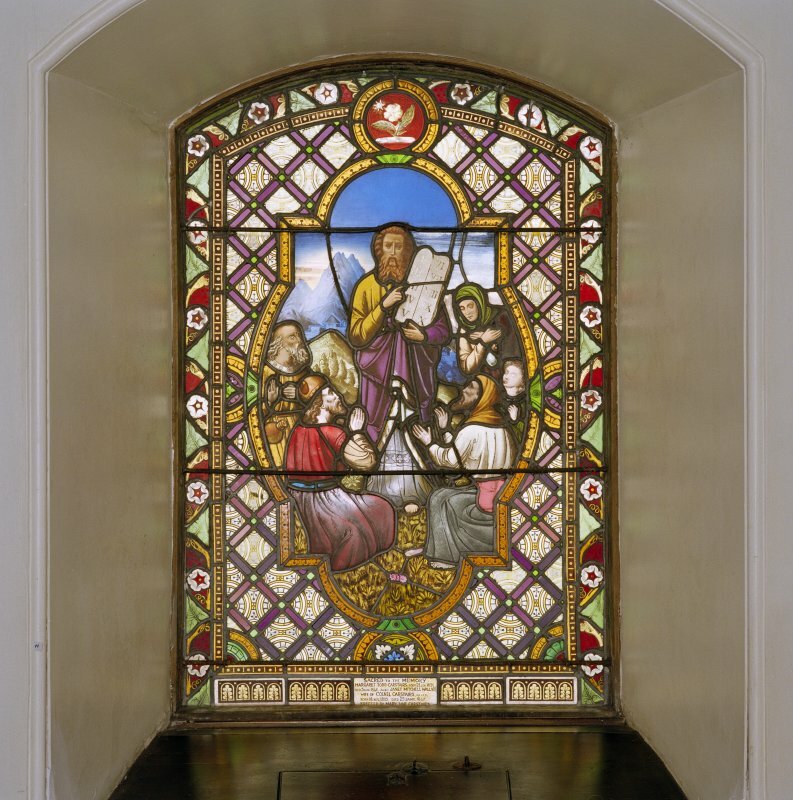 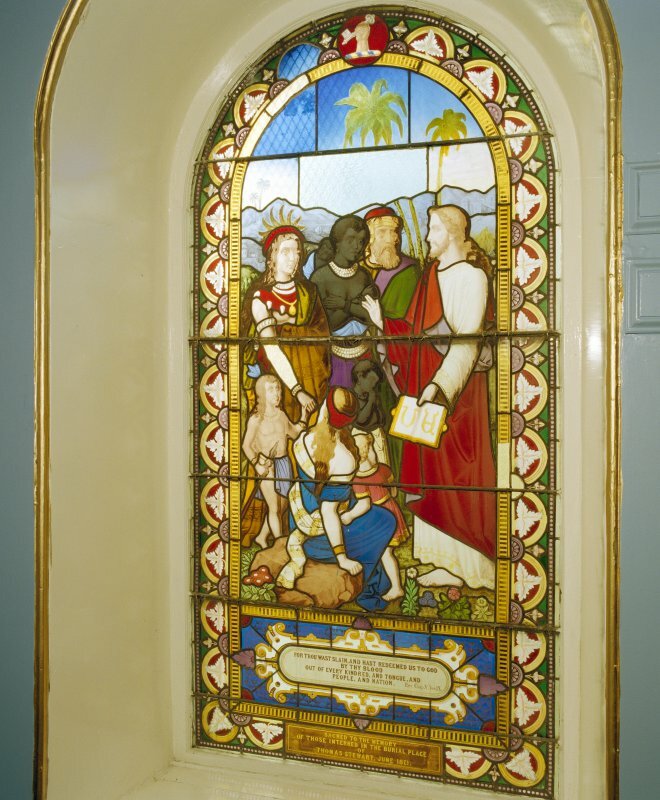 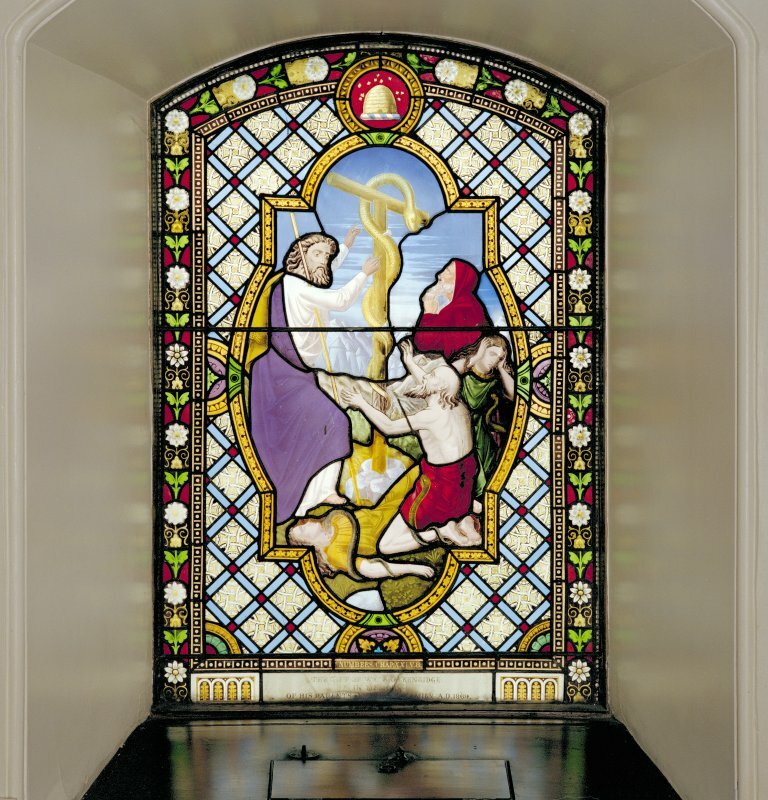 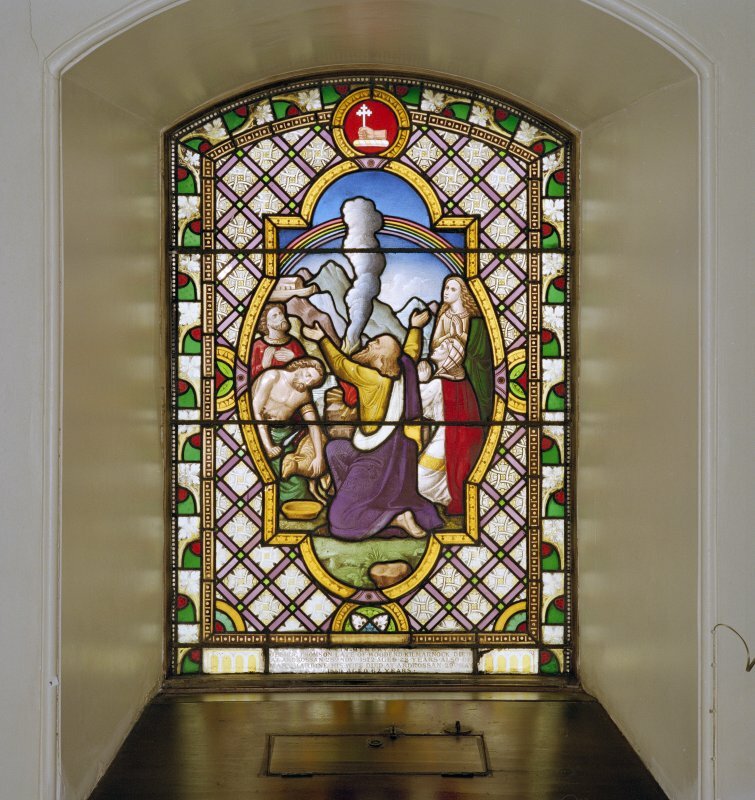 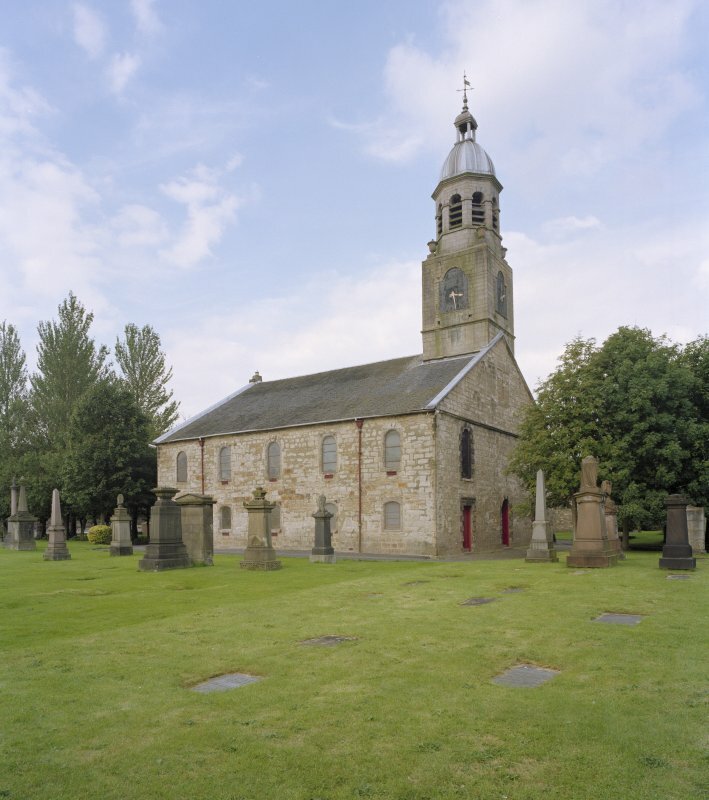 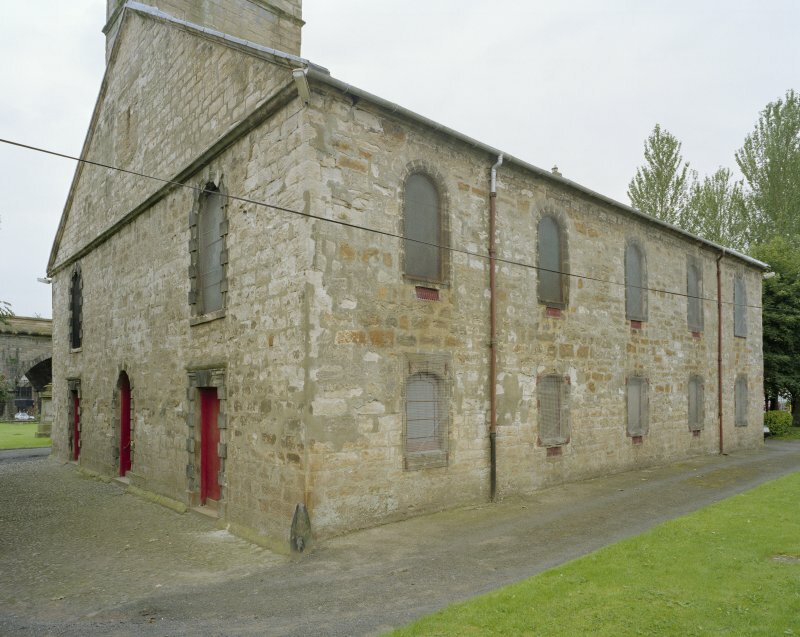 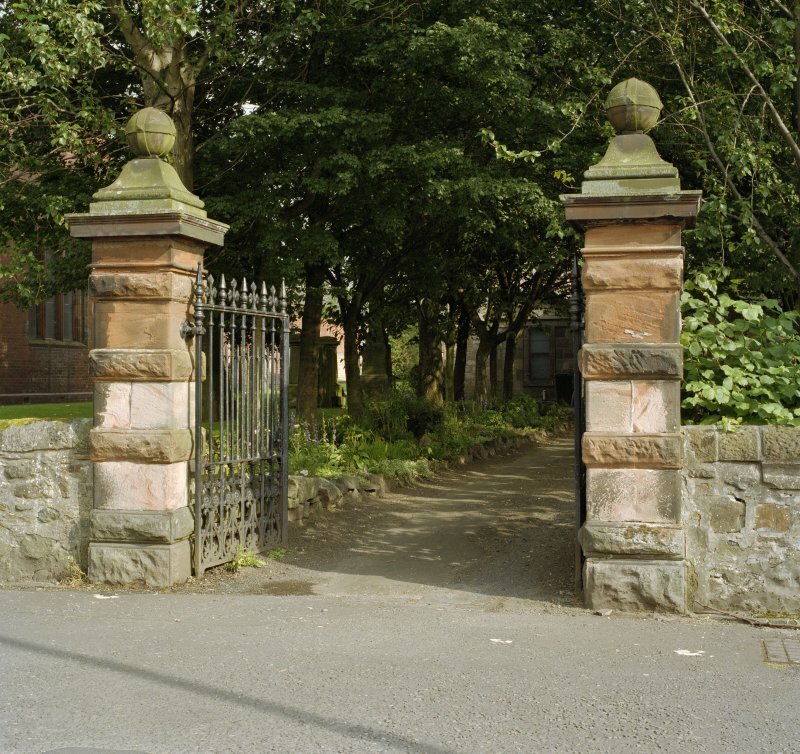 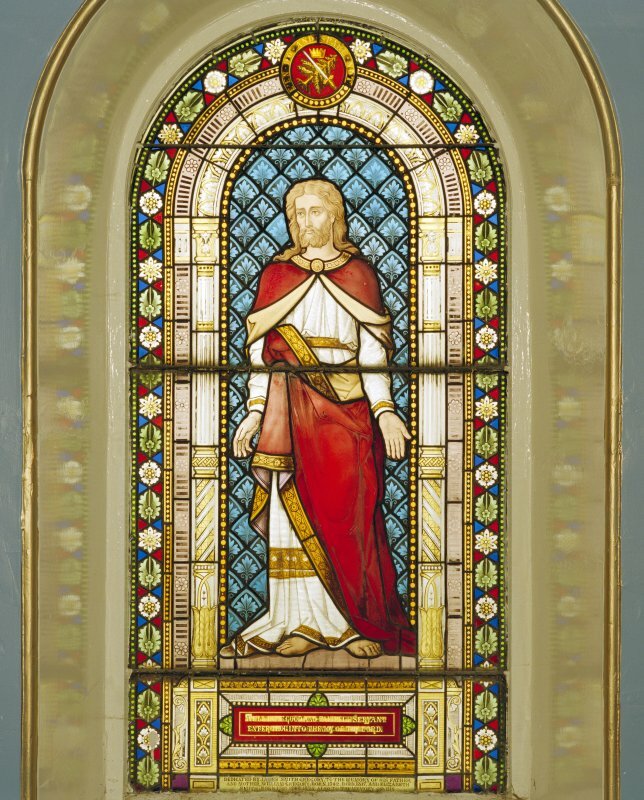 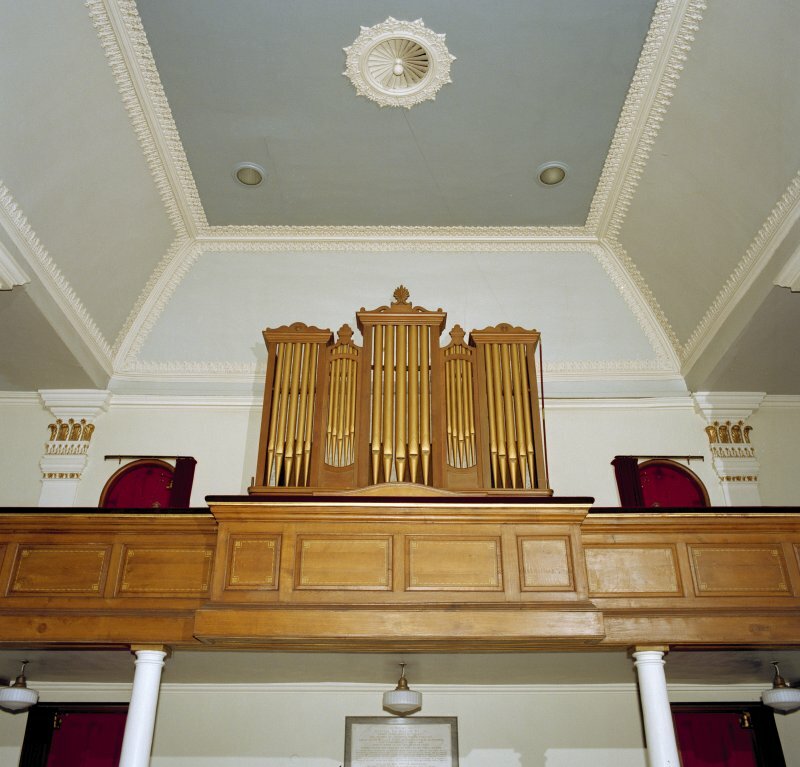 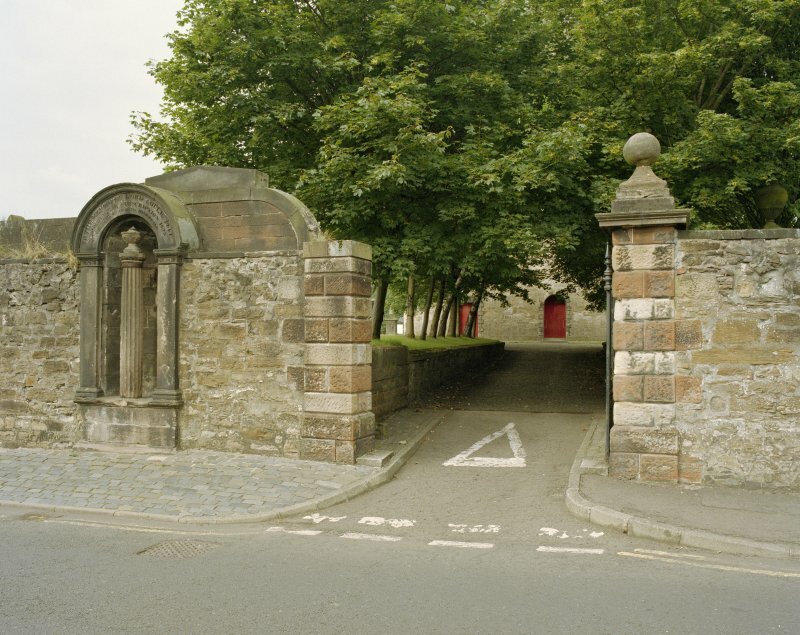 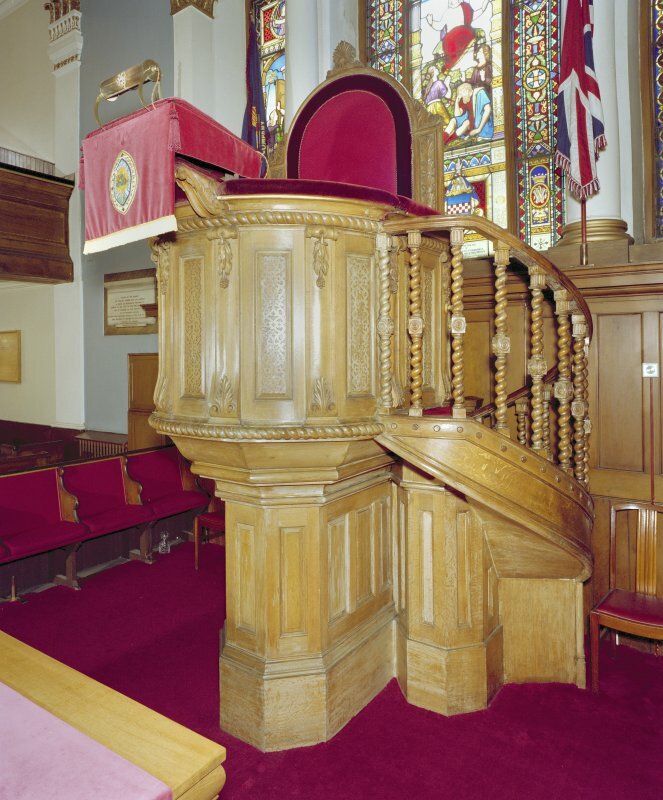 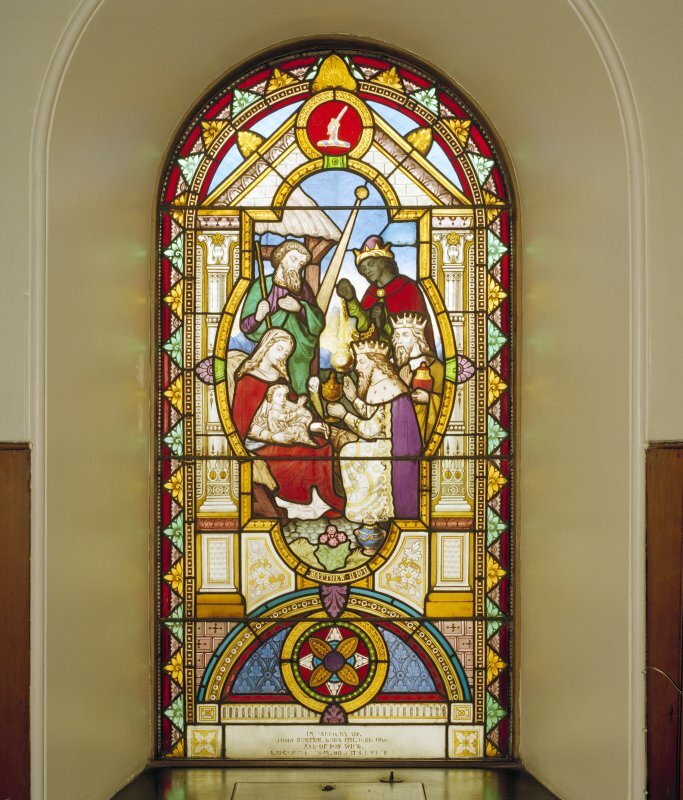 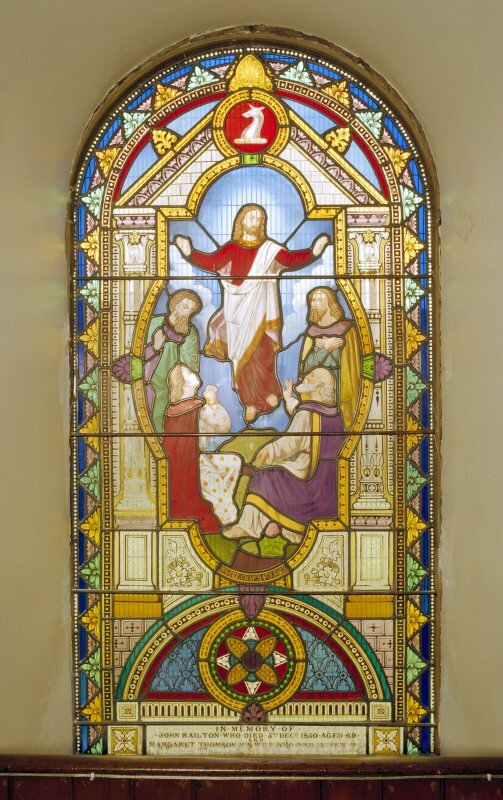 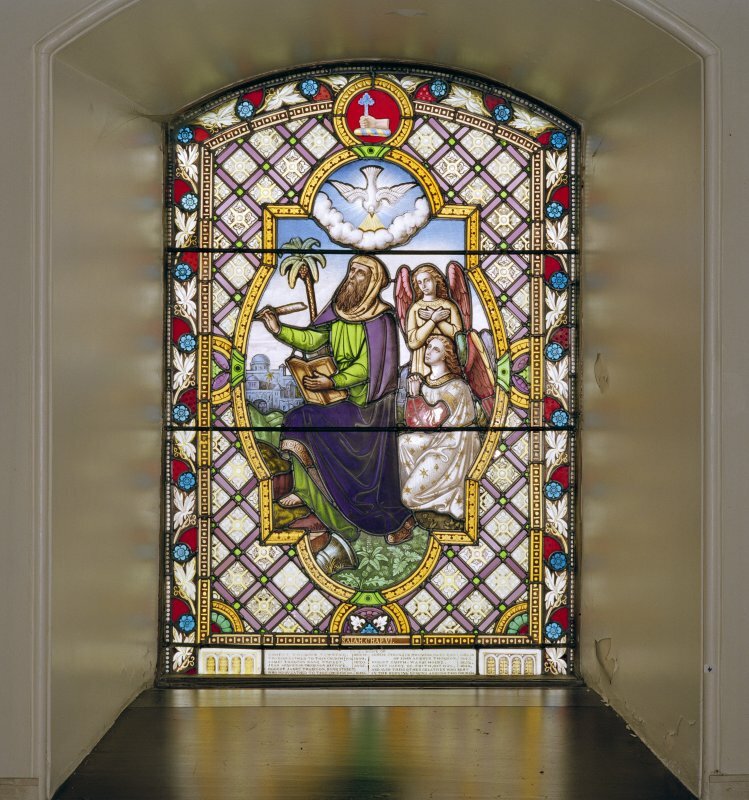 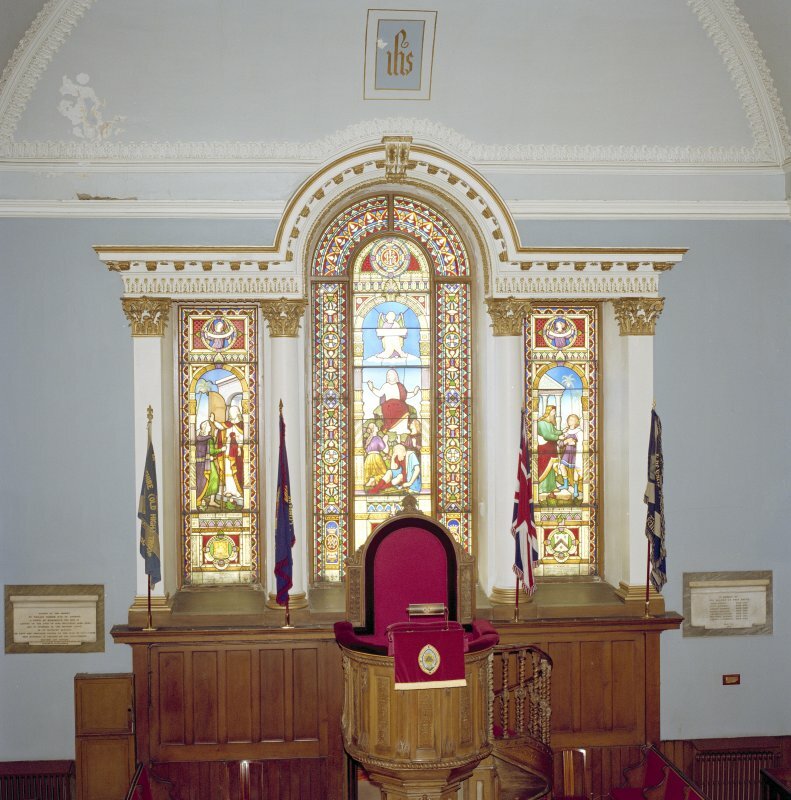 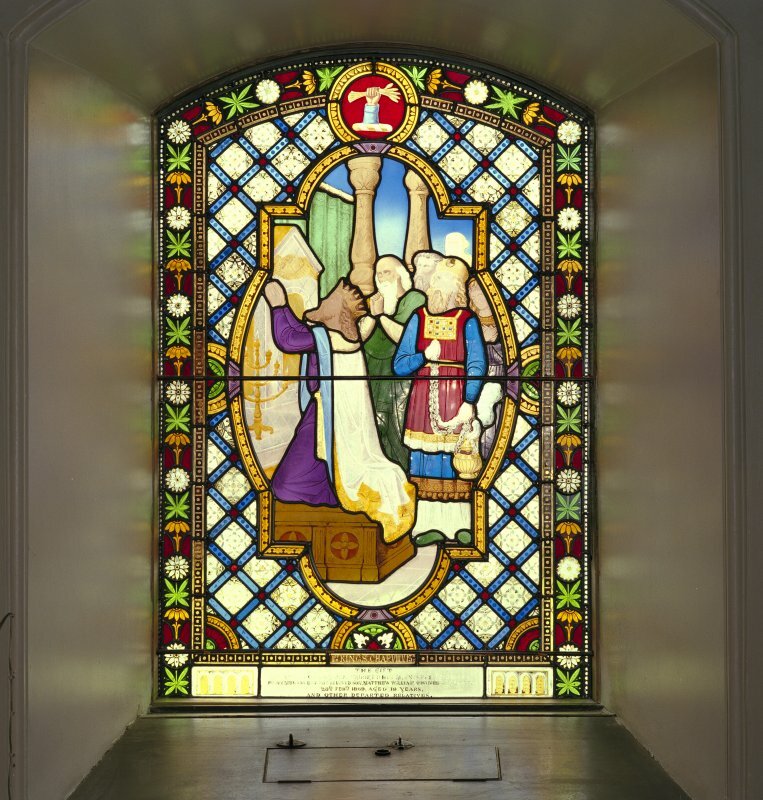 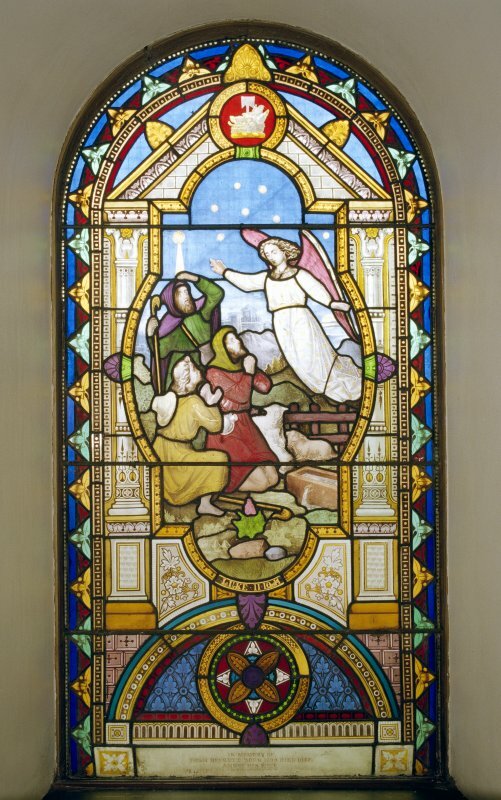 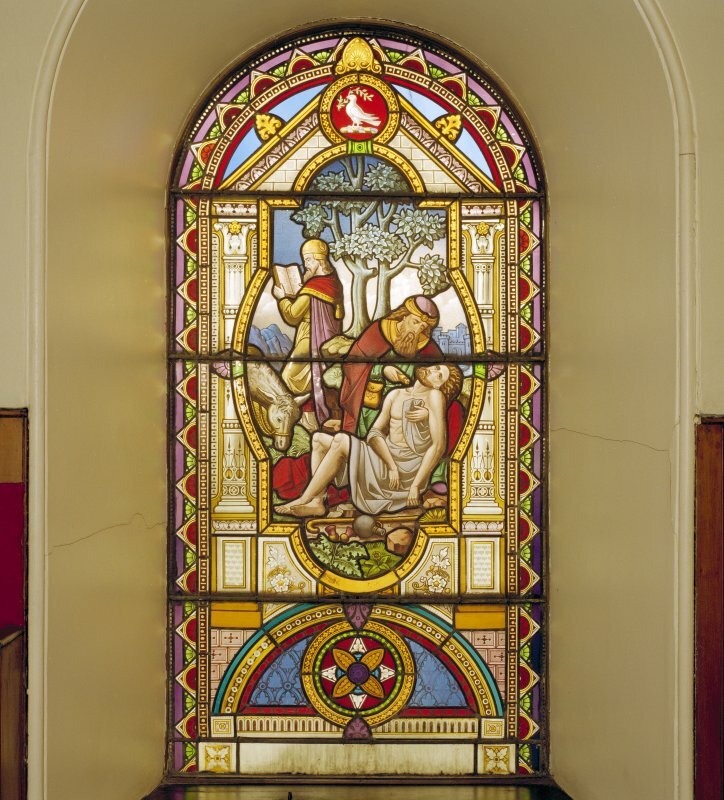 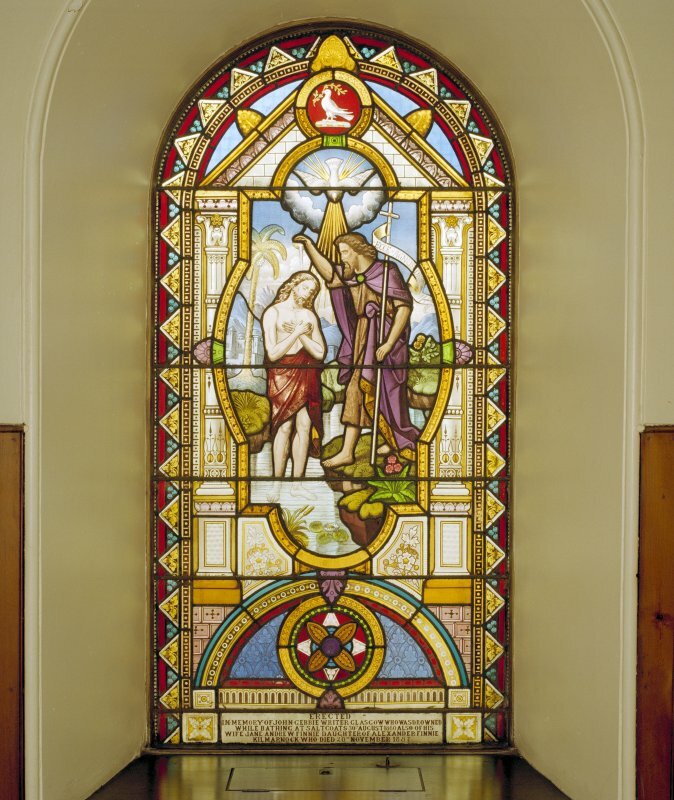 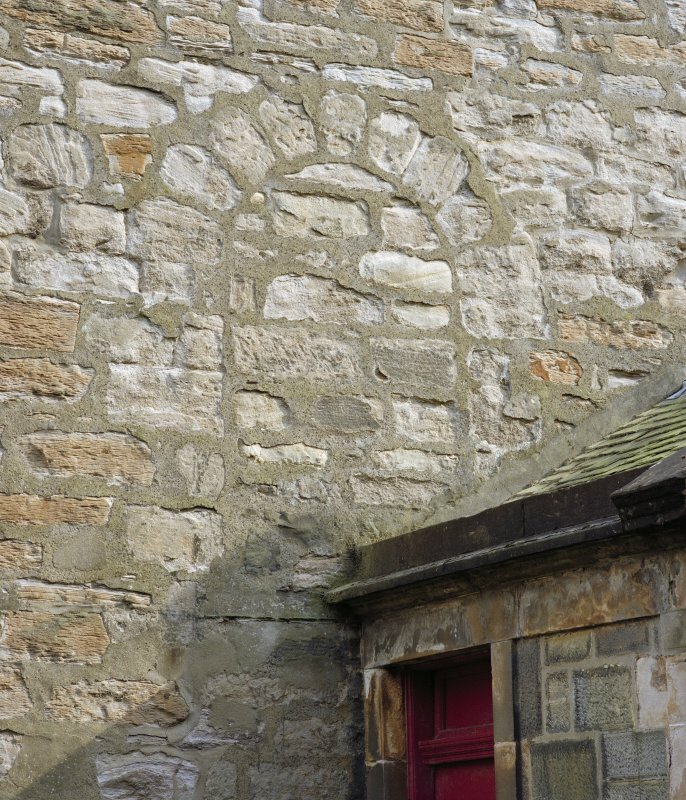 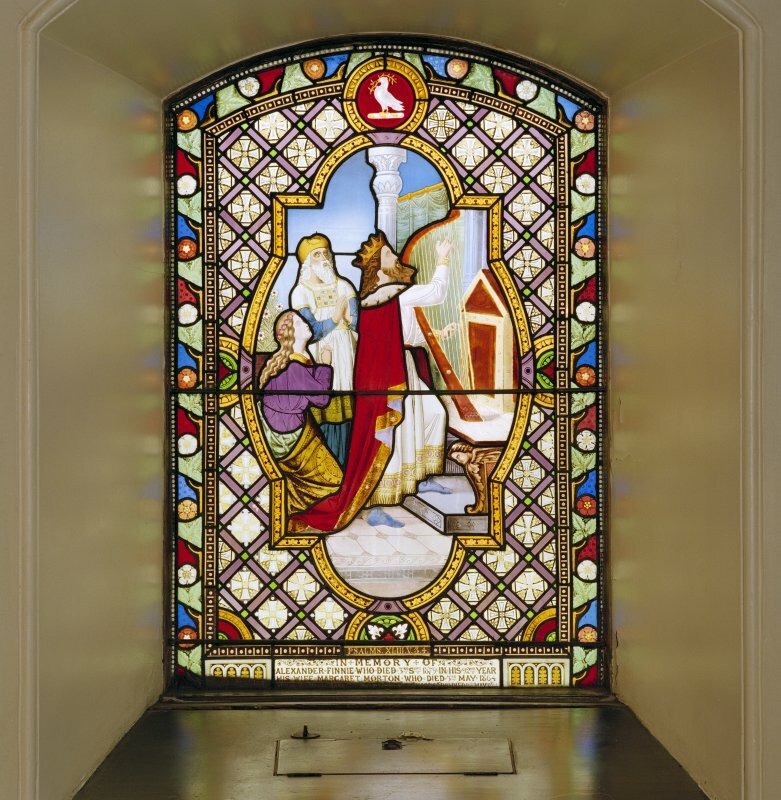 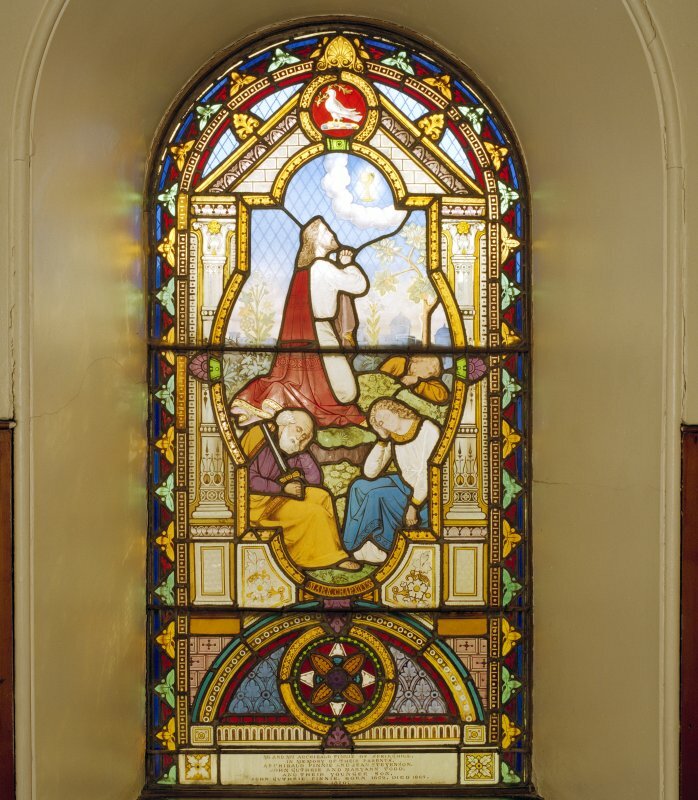 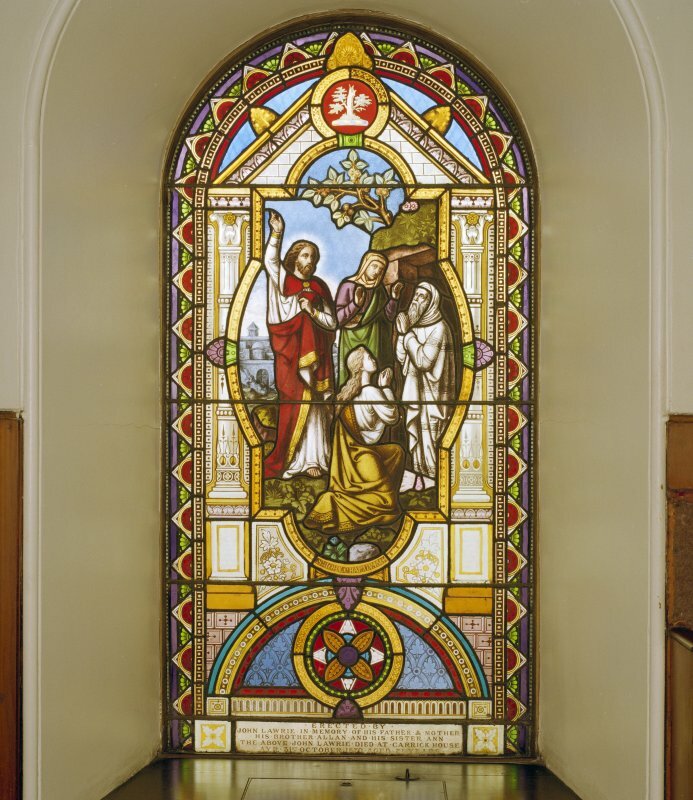 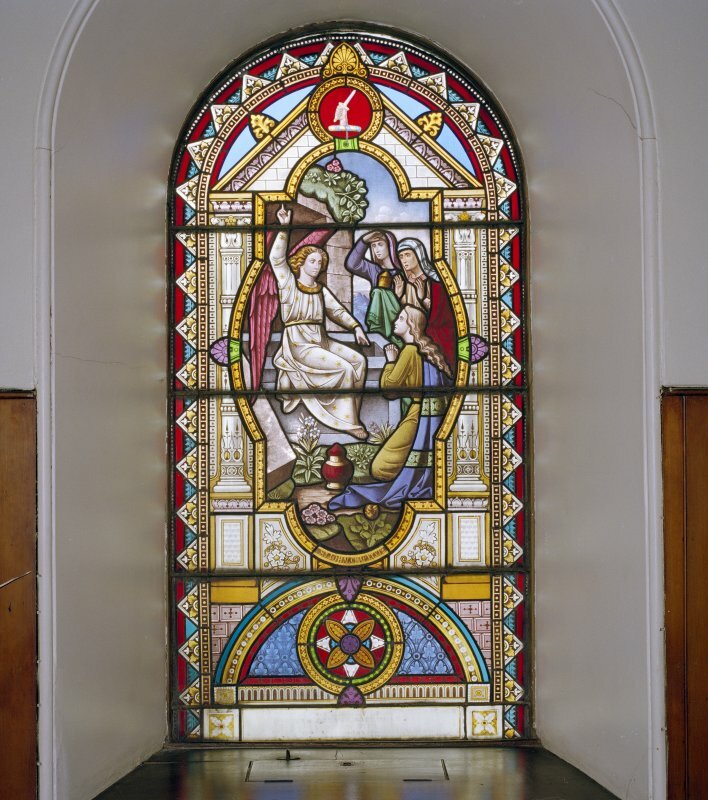 Although claims have been made concerning the design of the building being the work of James Gibbs, research undertaken by RCAHMS suggests it was the work of local masons Robert and William Hunter. 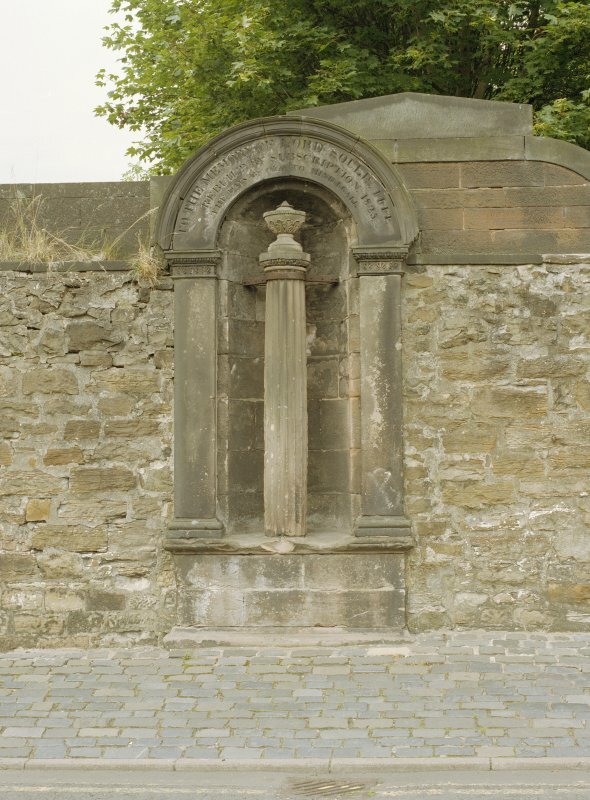 Immediately south of the east entrance to the churchyard is the Soulis Column, a Doric column erected in 1825 to commemorate Lord Soulis, believed to have been killed near this site in 1444. 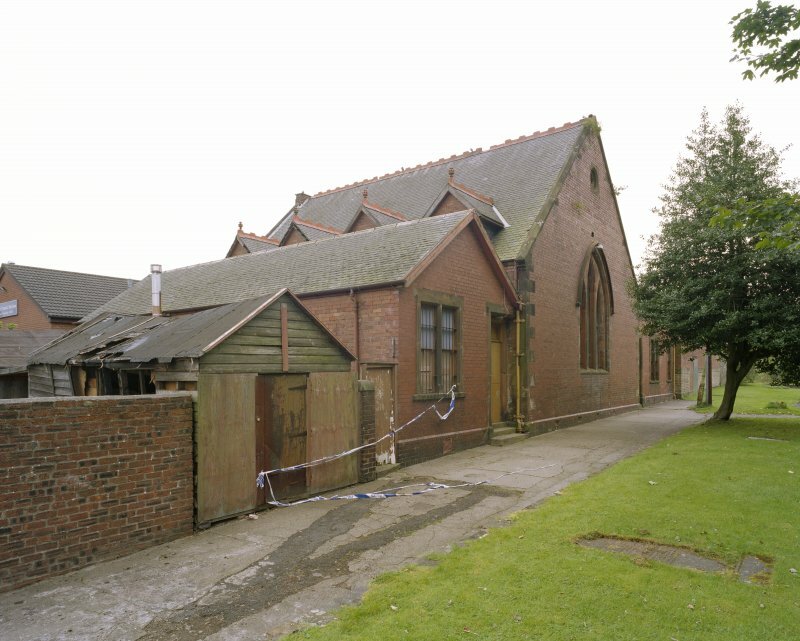 This site was recorded as part of the LBRP for 2002-03.